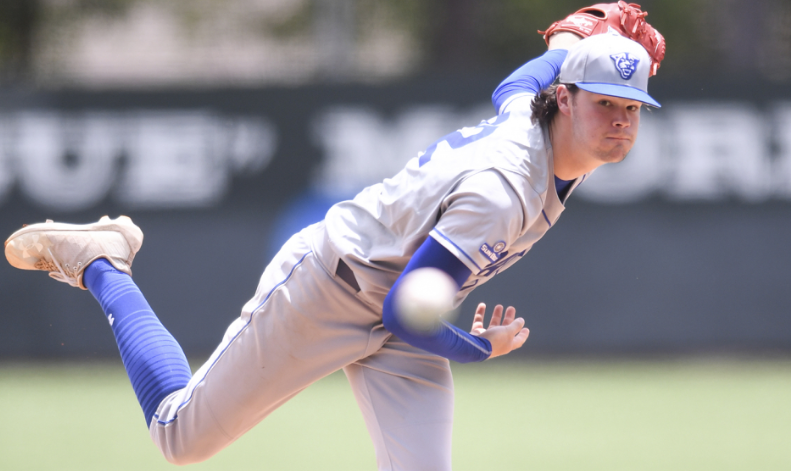 The baseball team’s season was on the line when it entered the Sun Belt Conference tournament in May, and needed a big-time performance from sophomore ace, Hunter Gaddis. Gaddis delivered on his end of the bargain throwing seven and two-thirds of no-hit baseball for the Panthers in their elimination game against Little Rock. The sophomore was dominant during his time on the mound flirting with the no-no. Gaddis finished the game with a career-high 12 strikeouts, no runs, two walks and one hit. Baseball is a very superstitious sport, probably more than the others. There is an unwritten rule that things like no-hitters or perfect games don’t get mentioned, but Gaddis said he knew it the entire way. Had Gaddis been able to pull off the no-hitter it would have been the second of his life with the first one coming when he was around 15 years old. Overall this season, Gaddis took major steps forward and improved on his impressive freshman season. The Panthers ace had a 3.72 ERA last season and dropped it to 2.95. His other numbers were good as well, giving up 41 runs, 33 of them earned, striking out 98 batters while only walking 24. He was also voted second-team All-Sun Belt. Gaddis was able to be successful this season by trying to do a few simple things. Going into this offseason, Gaddis wants to focus on his overall self instead of just baseball. “Nothing really baseball, just my overall self, getting stronger, more fit, being able to have a little more endurance, that’s about it,” Gaddis said. Gaddis tries to model his game after New York Mets star pitcher Noah Syndergaard. Both are tall, hard-throwing right-handers. The MLB draft took place from June 4-6 with 40 rounds. Gaddis wasn’t eligible to be drafted this year because of the MLB rules, but he will be eligible next year and should be a strong candidate to be drafted if he keeps progressing as he has so far.